After nine months of absence, Nerdwatch is finally back. We’ve got a new website, new software, and most importantly: new content. We know it’s been pretty sparse now for the better part of a year (see: completely and utterly unattended to), but we aim to bring you more content with more variety in the future. Nerdwatch will now be providing reviews and editorial pieces by the creators in conjunction with our normal video offerings, all of which you can find right here. We hope that you’ll enjoy what we have planned for you. And with that out of the way, let’s talk about our next series of updates. For our upcoming Let’s Play series, we’re going to be running through a game that many of you probably heard about in passing, but more likely than not never picked up for yourself. That game is Alpha Protocol, a spy-thriller action RPG from Obsidian Entertainment, who are better known for their work on Knights of the Old Republic II: The Sith Lords and Fallout: New Vegas. For anyone familiar with those games, you’ll recall that they were buggy, poorly-polished, and in some cases blatantly incomplete. Yet you’ll also know that at the core of those games there was an ever-burning ember of creativity and smart writing. This is Obsidian in a nutshell: a company with great aspirations and incredible ideas, but unable to fulfill them due either to publisher pressure for meeting deadlines or a lack of development skill… and more often than not a bit of both. 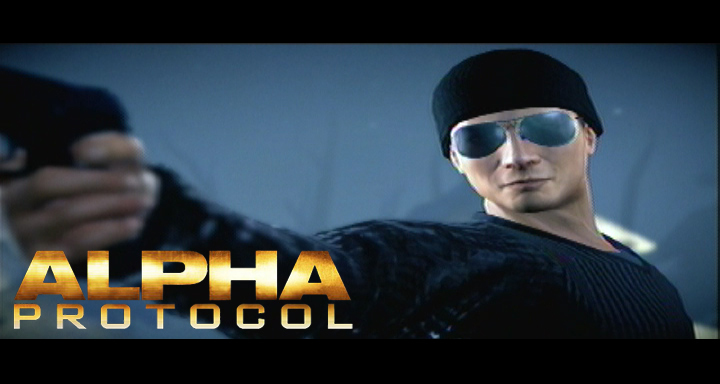 Alpha Protocol is no different; it’s a game in which you can see the brilliance that surrounds its core idea, but you need to squint past the fog of poor controls, glitches, and downright bad mechanics. Nevertheless, it’s a game that we here at Nerdwatch admire for its audacity and there are times when it does, at least momentarily, reach out and touch its potential. For all these reasons, it’s the game that we chose to play for our second official season. We’ll be bringing you new episodes every Monday, Wednesday, and Friday starting next week. Stay tuned. Author SloshPosted on January 4, 2012 April 3, 2014 Categories Site NewsLeave a comment on We’re Back!